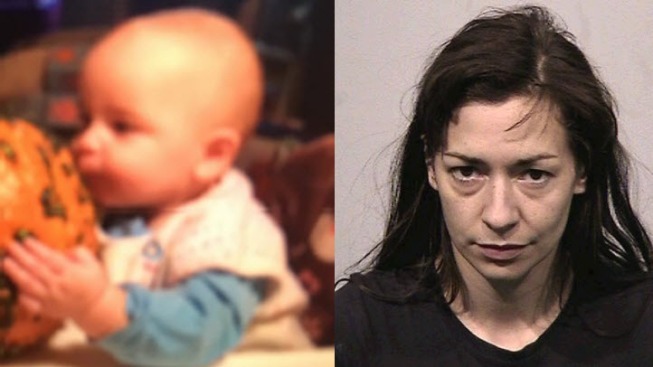 A Guerneville woman suspected of taking her 7-month-old son from the infant's grandmother Sunday has been located, officials said Tuesday. Hannah Ruth Ashley and her son were located safely near Downieville, according to the California Highway Patrol. Ashley, 35, is believed to have taken the boy from his crib at the home of the grandmother, who has legal custody of the child. Ashley made threats to take her child back during recent child visitations, according to the sheriff's office. The Sonoma County Sheriff's Office and the California Highway Patrol on Monday afternoon upgraded the incident to an Amber Alert. The Sierra County Sheriff on Tuesday afternoon said Ashley's silver Subaru Forester was found unoccupied in Downieville, about 90 miles west of Reno, Nevada. The sheriff's office issued a "be on the lookout" alert after the grandmother informed the sheriff's office of the abduction at 8:30 a.m. Sunday. There has never been a threat of violence toward the boy and he is not believed to be in danger, sheriff's officials said. Ashley is described as standing 5 feet 6 inches tall, 125 pounds, with brown hair and brown eyes. Anyone who sees Ashley or the vehicle is asked to call the sheriff's office at 707-565-2121 or 911.